Hey, Organizer. Take a cue from Pres. Obama’s new overtime rules. President Obama recommended that the US Department of Labor raise the amount an employer has to pay a worker without having to pay the worker overtime (x1.5 more that the standard wage) from $455/week up to $970/week. Business leaders warn that they will lower wages (unlikely). Jordan Weissmann at Slate predicts more lay-offs in the media as a result. The work of journalism, I think, is similar to organizing because individual projects have firm deadlines and the work that can be done leading up to the deadline is pretty much only limited to your creativity and by the amount of time that you can put into it. The completed project/report often leads to another, more ambitious project. He views the results of this change from the employer’s stand point (Meanwhile, his compatriots at Salon.com just formed a union to improve their working environment and to protect themselves during corporate changes). I don’t think this is the best way to think about it. You see, a standard work week in our country is 40 hours per week. Workers rights activists fought long and hard to win this fundamental protection. If your employer needs you to work more than 40 hours per week, then, the employer is required to may you 50% more for cutting into your personal time. Sadly, Pres. Obama’s proposal drops protections for people earning around $50,000 per year. In other words, just as you have grabbed one of the lower rungs on the middle-class ladder, Uncle Sam hands your boss a hammer to bang your fingers with. Sadly, I see many professional organizers fall into the trap of voluntarily giving away their time while simultaneously weakening our workers rights in the process. Many union and community organizers are salaried employees. Due to this, many of my fellow organizers regularly work 50 or 60 hour work weeks. This is a recipe for burnout. I have been a professional in this field for 15 years. I am sad to report that I can only think of a small handful of colleagues who have made it this long. There are many reasons for this of course, but among the main reasons people quit: being over-worked. That is why I want to encourage you, organizer, or any worker for that matter, to think about the President’s proposal as not a wage proposal, but a time-protection proposal. You have 40 hours that you (full-time worker) dedicate to earning wages, 40 hours to recreation, enjoyment and enrichment and 40 hours to rest. In my last job, we were salaried and we were also protected by a union that I helped to form. 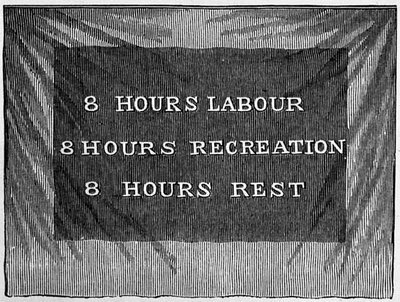 The union and the employer signed an agreement that we could get comp-time after 45 hours per week. Both sides agreed to this, so I am not complaining, but I think that it is helpful think this through a little more. Essentially, my employer expected me to donate about 10% of my wage back to them if I worked more than 40 hours per week. After that, they would give me hour back after 45 hours per week. For example, I could work 50 hours in one week and take off 5 hours of my work week the following week. This wasn’t a bad agreement, but, it is actually a far cry from x1.5 rate that an hourly worker would get in the same situation. Actually, if I worked 50 hours that week, I was volunteering to reduce my own wage by 60% (since my time after 40 hours SHOULD be worth x1.5 or 15 hours off the following week). Since, like many of you, I had a job to do and take much pride in my results or sometimes simply could not avoid working more than 40 hours per week. If you regularly, as a salaried worker, work more than 40 hours for less than x1.5 your rate (traded for time off or for wages/benefits) your are volunteering to slash your own salary. You are also setting a precedent and expectation from your employer that your most valuable time is a bottomless resource for them to dip into. Try to stick to the 40 hour per week rule and you will have a better, more sustainable, work life. Previous Post Direct Action: Protest is the only hope we have. Next Post The water is perfect, can Big Labor ride the wave?